It's currently the ghost month in the lunar (Chinese) calendar and this means, it's the season where we try to avoid traveling, making big decisions, signing contracts, making big purchases and getting married. It's the most feared for month of the year as this is when they say, the ghosts and spirits would be most active. Yesterday, the 15th of the 7th month is said to be the worst day of all. During this time, people would offer food to the gods to ask for extra protection and would avoid places like hospitals, wakes and cemeteries. Come the 15th of September (a month from now), the ghost month has officially ended and it's time to celebrate! 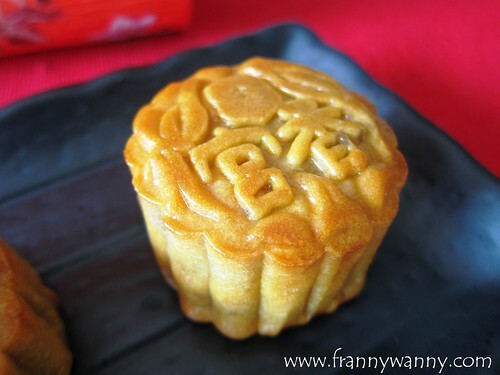 This day is called the Mid-Autumn Festival where families gather to have a good meal and enjoy an abundant supply of mooncakes. While I love Chinese New Year food such as sticky tikoy (glutinous rice cakes), tang yuan (glutinous stuffed rice balls), dumplings and yu sheng salad, Paul's favorite Chinese holiday is actually the Mid-Autumn Festival or more popularly known as the Mooncake Festival. I would tease him that probably he loves this time too is because it's closer to his birthday to which he will always deny. Haha! 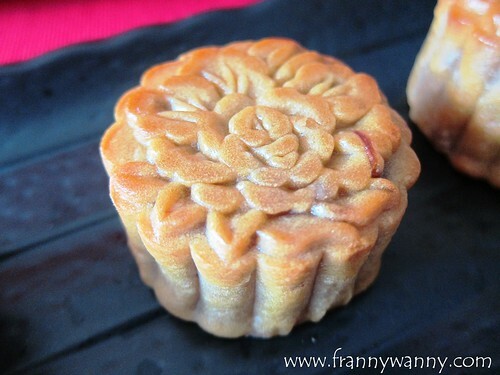 Anyway, there are a lot of mooncake varieties out there but I got to admit that we still love the baked traditional ones with lotus paste and nuts. I like mine without the salted egg while he enjoys it as it is. 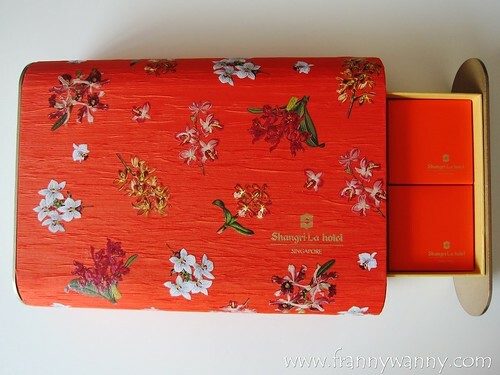 This year, we were so lucky to receive a pretty box from our friends at Shangri-la Hotel Singapore. I had to take a minute to admire the beautiful orange box which can double as a jewelry box after the festivities is over. 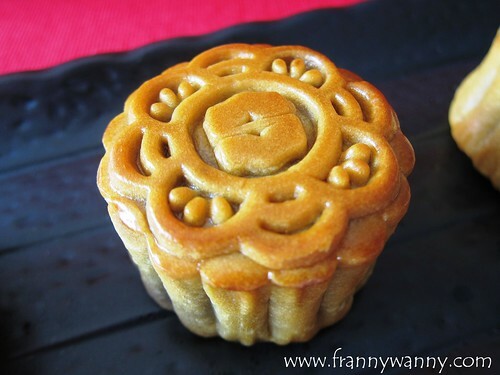 Inside are 8 small boxes of personal-sized mooncakes. It's so pretty, isn't it? I love the effort and thought that Shangri-la Hotel always put into whatever they product they come out with. This is probably one of the prettiest mooncake boxes that I've seen in the market and it surely makes a great gift idea too. Okay, I'll stop gushing about the box and I'll talk about what's inside. I got the Mini Baked Mooncake Box (S$88) which comes with eight mini baked mooncakes in four different flavors namely -- Custard, Lychee with Rose, Mocha with Hokkaido Milk and Low Sugar Lotus Paste with Macadamia Nuts. Of course, I asked the hubby to choose which flavor to try first as he obviously was really ecstatic upon seeing the box of mooncakes on our dining table. His first choice was the Low Sugar Lotus Paste with Macadamia Nuts. I really appreciate the fact that Shangri-la Hotel opted to go for low sugar instead of no sugar as the latter could mean that they made use of artificial sweeteners which I feel won't really do your body any good. Lessening the sugar consumption is definitely the way to go. I have to say that even if they went easy with the sugar, the taste was still there and it was really yummy. I love anything with macadamia nut so this easily got my approval. Now, it was my turn to choose. I went for the Lychee with Rose as it was the most unique sounding mooncake flavor in the group. I honestly do not like anything with rose but I have to say that the way the rose and the lychee flavors were combined was done so seamlessly and smooth that it was in fact my favorite flavor of all. I love the tiny bits of what I suspect could be some nuts or the rose tea leaves? 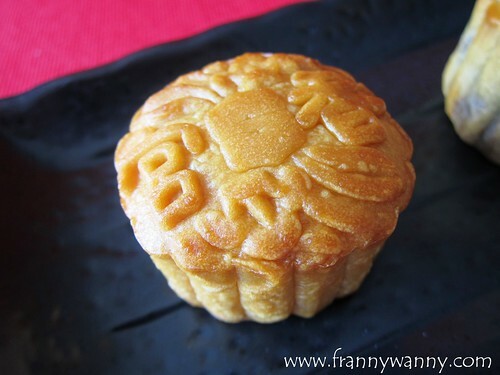 If anyone knows what those tiny crunchy bits inside the mooncake are, please let me know below. For our next meal, we had the next two flavors. First was the Mocha with Hokkaido Milk which we were expecting to have a strong chocolate-y flavor. It was actually very mild yet we noticed the filling was indeed creamier compared to the others. Not so bad but we would have liked a rich, deep chocolate kick if given a chance. Lastly, we had the Custard which is best enjoyed warm or in room temperature. Take it from me, I accidentally chilled one of our custard mooncakes and didn't bother to wait till it thaws before taking a bite. Let's just say that the texture wasn't as satisfying as how it was when warm. Oops! Anyway, we both loved the baked custard too. This was definitely one fine mooncake box and we're so lucky to be able to enjoy it! If baked mooncakes are not your thing and you prefer the chilled snowskin ones, then they also have the limited edition Honey Chocolate Collection ($88) which comes with a chocolate shell and filled with creamy mousse-like filling and honey centre within. Doesn't that just sound so delicious? Similar to the baked mooncake box, this comes in four flavors such as Dark Chocolate, Milk Chocolate and Salted Toffee, While Chocolate Passion Fruit with Mango and Roasted Sicilian Pistachio. All these special mooncake boxes are available for sale at the lobby of Shangri-la Hotel Singapore or in various mooncake roadshows happening soon such as VivoCity, Tampines Mall, Chevron House, Junction 8, Westgate, Parkway Parade, Jurong Point and Takashimaya Square (B2). Catch them there and be sure to bring home your own pretty box of mooncakes! They also accept online orders and they offer 15% discount when you purchase online. 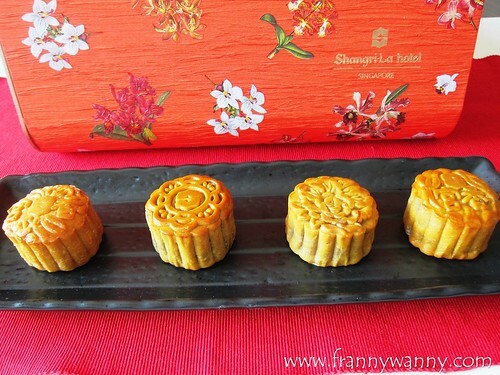 Click on this link to start your mooncake shopping. Shangri-la Hotel Singapore is located at Orange Grove Road, Singapore 258350.